Research: This is it! is a unique textbook that offers an integrated discussion of quantitative and qualitative research. The theory is easily accessible, with appealing examples taken from all kinds of studies. 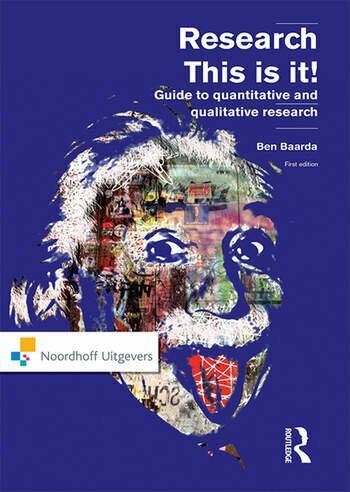 This textbook light-heartedly describes the essence of quantitative and qualitative research in four steps in a such a way that students will want to do the research presented in the book. With these steps, you have a valuable checklist at your disposal for designing and conducting your own research and for evaluating research proposals and reports. Excel is used for quantitative data analysis, in addition the book has an appendix explaining how to use SPSS. 1. What does the researcher want to find out? 2. Is the researcher’s 3. Is the researcher’s data collection method appropriate? 4. Has the researcher analyzed the data properly and reported on it appropriately?